Hello my dear sweet blogging friends. Here I am once again showing you a blanket that I have added a crochet edge to. This is quickly becoming one of my favorite things to do. This is my second blanket to do this to. I find myself walking around the house studying the blankets that are spread around here and there to see if there is one that would benefit from a pretty edging. which made me pretty happy. All I needed was some matching yarn and a crochet hook. Once I started crocheting it went rather quickly. I was really wanting a fancy edge with lots of drape and lacy design but I ended up settling for a simple scalloped edge shell stitch. It's feminine enough without being over the top. Plus it's practical. This blanket gets a lot of use. It's traveled with us to many of our son's football games and come Spring, it will go with us to track meets too. 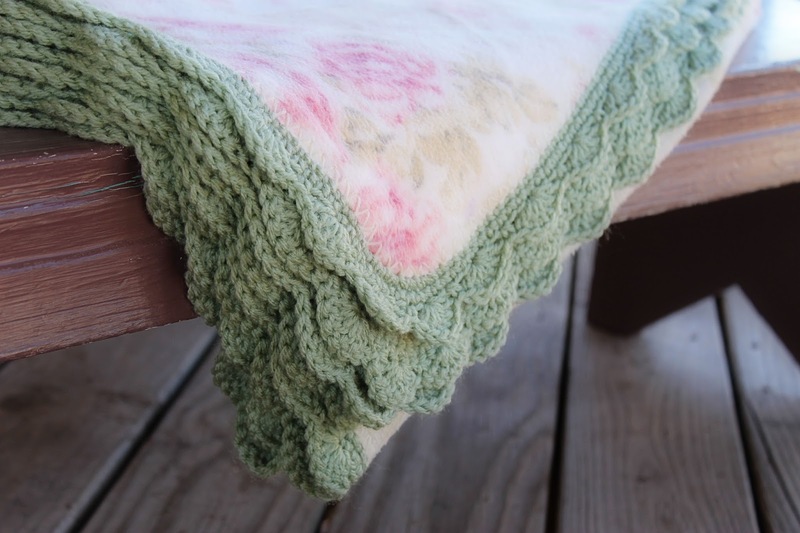 ...and I'm thinking this nice crochet edge was just what this blanket was needing all along. I wonder how many more blankets I can find around the house that I can do this too? 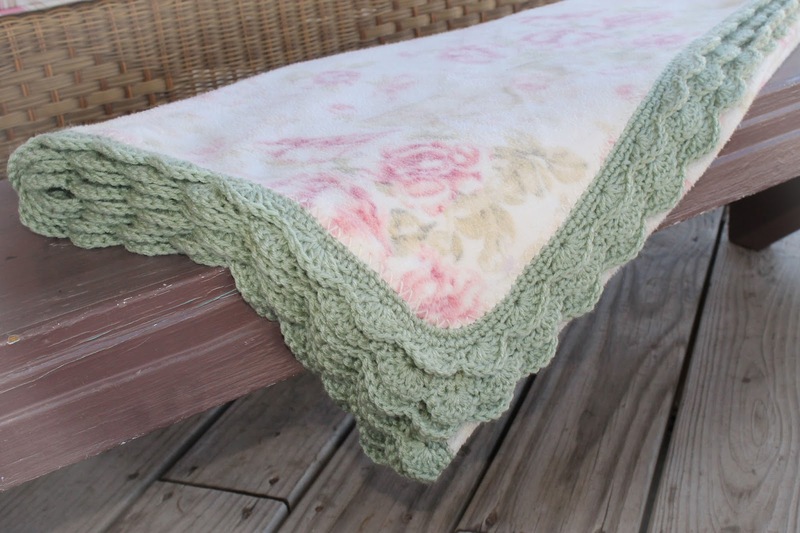 It is beautiful, I love the idea of adding some edges to towels as well. Inspirational! That is a very successful project. I can see why you are looking for more to do. Its lovely. And such a simple idea. A beautiful embellishment !!! Lovely color you choosed ! Wow Beca, I love this edging and looks so pretty!! It looks beautiful! I've tried to do this to a few of my blankets but my crochet skills definitely aren't up to par just yet! Hello Beca :) Hope you're doing good. The crochet edging really adds a nice touch to the blanket. Beautiful work. Have a lovely day! I love it and it's just perfect for that pretty blanket! You have inspired me to add crochet edges to my blankets! The blanket is absolutely gorgeous with the crocheted trim. How did you make the holes to do the blanket stitch?